Do you know what jiggly arms mean? Perhaps you know this “singing” word if you can not wear short sleeve clothing and you are embarrassed by your arms. Many women suffer from flabby arms and they can appear due to many reasons. One of the main cases is after weight loss. People find them to be unattractive and want to get rid of them. The best way to solve this problem is of course naturally. 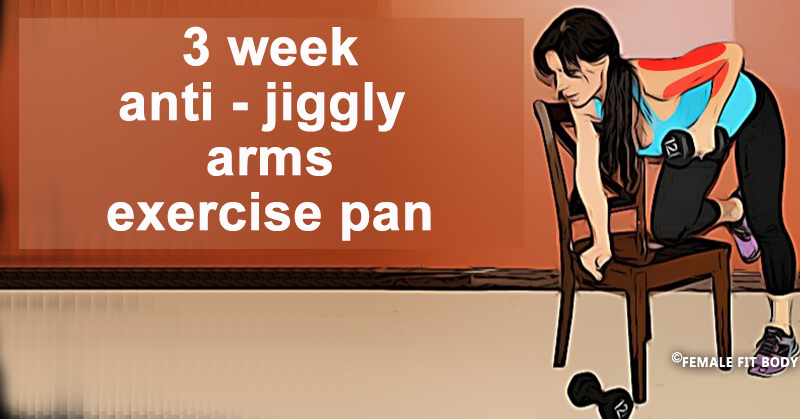 In today’s article, we present to you a 3-week anti-jiggly exercise plan, you will get your arms into shape! 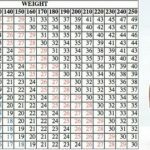 These awesome exercises specifically target this area and also the upper body which is the key to your overall physical health. For this exercise, you will need dumbbells ranging from 10 to 20 pounds in order to perform workouts. Get your body ready for this summer and wear anything without second thought. Bellow, you have the video of how to perform them properly so you will have maximum effect on the muscles and also avoid any injury. Are you ready to start doing these exercises that will give you only amazing feelings?